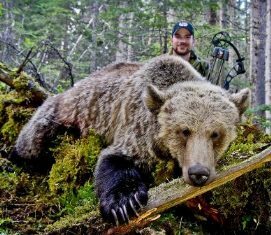 Welcome Big Game Hunters and Anglers to Northern British Columbia, Canada! Outfitting has been a passion of mine and I have owned and operated this family business since 1977. Moose hunting has been the majority of our business. I personally guide on all hunts. We are licensed big game hunting and Angling guides. We offer guided hunting trips for Moose, Grizzly Bear, Black Bear, Wolves, Mountain Lion, and Lynx, also hunting for Upland Birds. Our guests can also enjoy wilderness angling for wild rainbow trout, dolly varden, brown trout and sockeye salmon. We are located in north central British Columbia, southeast of Prince George, B.C. 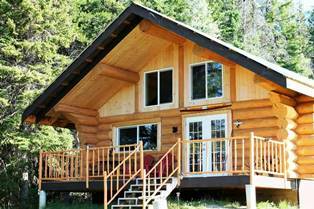 Our Hunting Base camp and wilderness Lodge and guest cabins are located 31 miles 50 km, east of Quesnel , B.C. 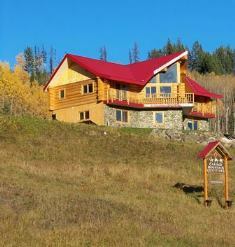 situated by Victoria Creek on a 3000 foot meadow with a grass airstrip. We have an exclusive hunting area of over 2500 square km. 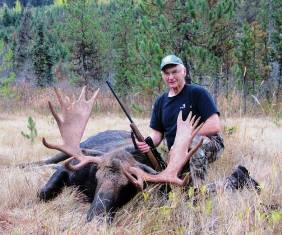 of fine hunting country, Moose hunting is the majority of our business in the fall hunting months. We have low resident hunting pressure as Moose and Grizzly Bear are on limited entry hunting. Resident hunting is on a draw system to be able to go hunting in the zones that I operate in. If a resident hunter does not get a draw for Moose hunting and wants to hunt, they must go to a zone that has general open season for Moose Hunting. We use different methods for hunting, the use of jet Boat, small 4 by 4’s, horses, we also have small boats on remote lakes. Our goal is to provide you with an exceptional unforgettable, guided hunting or backcountry fishing adventure. We cater to hunters and fishermen from every ability level. For a Superior Rocky Mountain Wilderness Tour, Contact Cariboo Mountain Outfitters! We offer guided angling on 14 different waters - lakes and rivers! Wild Rainbow Trout, Dolly Varden, Rocky Mountain Whitefish, Brown Trout, and Sockeye Salmon - these are all wild populations - none have been planted. As some of our lakes are only accessible by foot or horseback, very few people are able to reach them. We also offer guided angling adventures on the Quesnel River and Cariboo River by jet boat, and the Swift River by drift boat. These rivers provide Rainbow Trout, Dolly Varden and Salmon. We offer 2, 3, 4, and five day fishing packages or we will customize your own trip to suit your schedule.